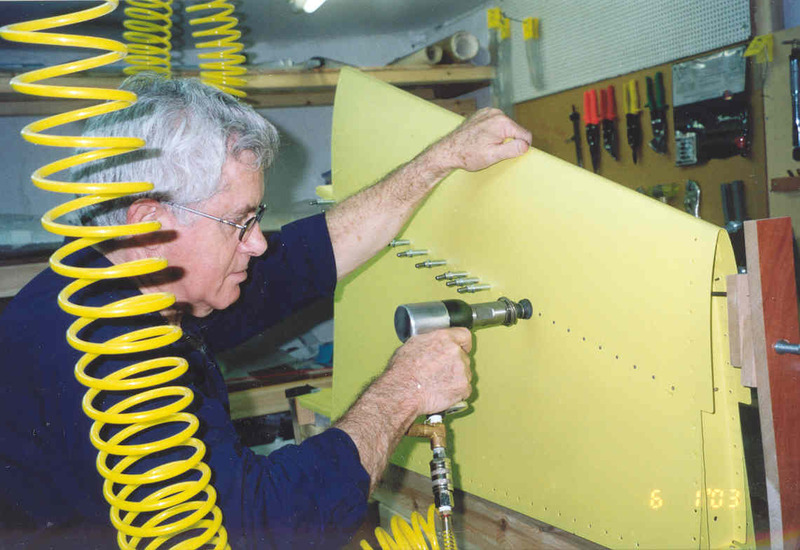 I'm Mike Raviv, 61, retired Mechanical Engineer and quite active aviation enthusiast. I live in Nesher, Israel. For many years I planned to build an airplane, now I got the time to do it. This is a family project, with all family members trying to help as much as time allows them. You'll meet them all in the following pages. I did create this website to let my friends and other interested people check on my progress without having to find me, phone me or visit me, each one on his own timing. Believe me, there are lots and lots of them and I could end up talking about airplane building instead of doing that. So I'll try to keep this site simple and efficient, with minimum time invested in it. As I said, I want to build an airplane, not websites. More work on the left Fuel Tank, with access hole in the inboard rib cut, reinforced and nutplates installed. Fuel Cap and Drain Valve fitted to Fuel Tank skin and the skin deburred, after strips of protective plastic sheet were removed from over the holes. 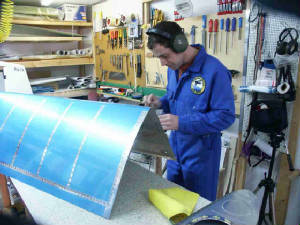 Left fuel tank bottom stiffeners rivetted to skin. The Rivet-O-Meter starts moving again!!! Two ribs rivetted into the Left Fuel Tank. Millenium celebrations again, see the Rivet-O-Meter. Fuel quantity sender plates fabricated. Two more ribs rivetted into the Left Fuel Tank. Again, two more ribs rivetted into the Left Fuel Tank. Also: fuel cap flange and fuel drain flange installed. Last rib (inboard) rivetted into Left Fuel Tank and fuel & air fittings attached to it.